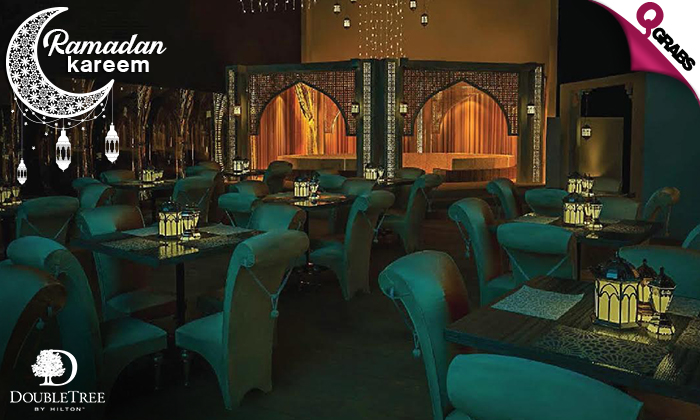 Celebrate the holy month of Ramadan in the Al Andalusia tent set at the rooftop of DoubleTree by Hilton. Enjoy the décor and entertainment that will take you back in time to the oriental nights of Al Andalus while overlooking Doha’s skyline. Devour a wide variety of juices, salads, starters, main course & desserts. Start off with some mozzarella & tomato salad with pesto sauce, shaved parmesan prawn three bean salad with fried beef strips, arabic mezze, foul madame’s with traditional condiments, falafel and cheese sambousek, assorted arabic pickles & much more. Go onto some main course dishes like – mixed grill, chicken biryani, bamiyah bil laham, roasted prawn with warm tomato salsa, fish sayadiyah with brown rice and more. 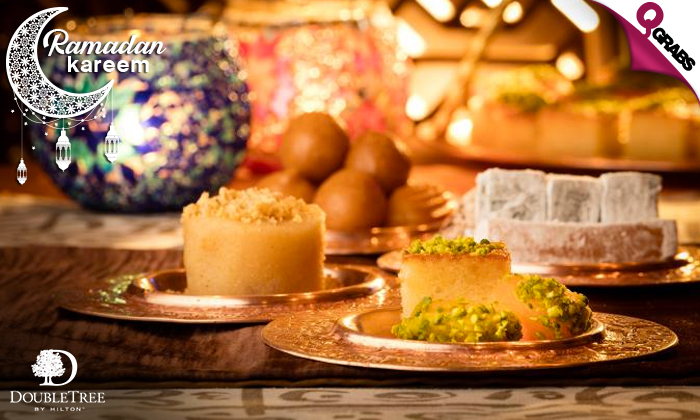 End your meal with some mouth watering arabic desserts like kunafa bil jeben, zenoud el sit, balah al sham, katayef with walnuts, assorted arabic baklava, umm ali and more. If you are in the mood for some western sweets, then DoubleTree has taken care of that too, enjoy delectable desserts like creme caramel, mango pudding, chocolate truffle ganache, apple crumble red velvet, chocolate brownies and more. 50% off some 5-star hospitality this Ramadan!